A 62 year old male with a past medical history of CAD, CABG x 4, HTN, DMII, OSA on CPAP, and GERD was admitted for acute onset of chest pressure that radiated to his back. He also complained of nausea, vomiting. He had a similar episode of pain two weeks ago which resolved with nitroglycerin. The patient was found to have Type 1A aortic dissection on CTA. Decision was made to proceed to the OR emergently. Status post the operation, he continued to have hemodynamic instability and evidence of pneumonia. He had been intermittently febrile with leukocytosis (WBC=12.66). Blood cultures were drawn and were positive for gram negative bacilli in one bottle. Gram stain demonstrating Gram-negative rods. Blood agar plate with dry, yellow colonies. 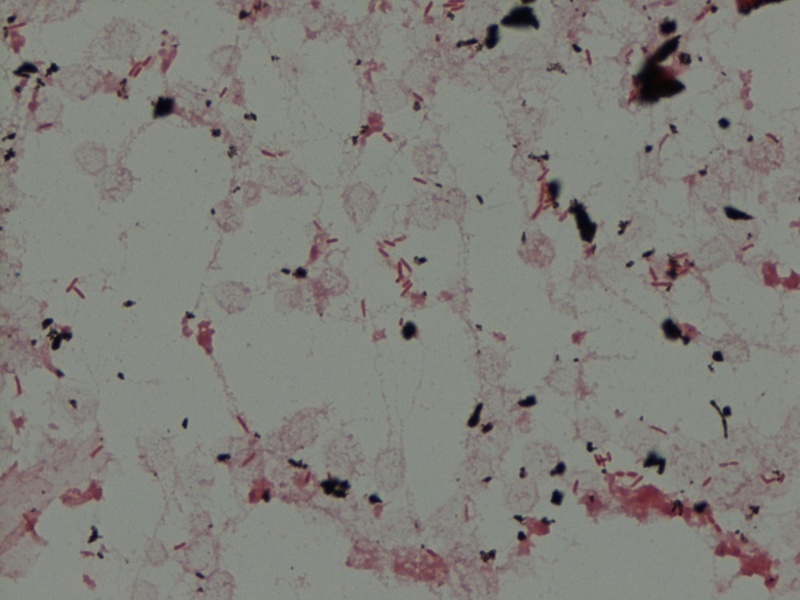 Pseudomonas luteola was identified on the MALDI-TOF. P. luteola was originally identified as Chryseomonas, but later changed to be a part of the Pseudomonas family. It is an opportunistic pathogen found in damp environments. It is a gram negative rod of 0.8 μm to 2.5 μm and is a motileaerobe. Its motility is created by multitrichous flagella. Colonies produce a yellow-orange pigment. P. luteola can be differentiated from most other motile yellow-pigmented nonfermenters by a negative oxidase reaction and from the Enterobacteriaceae by its strict aerobic growth. Optimal temperature for growth is 30°C, although it can grow at 42°C and not at 5°C. It grows best on heart infusion agar supplemented with 5% horse blood, but is also able to grow on TSA, Nutrient Agar, MacConkey or CASA Agar. 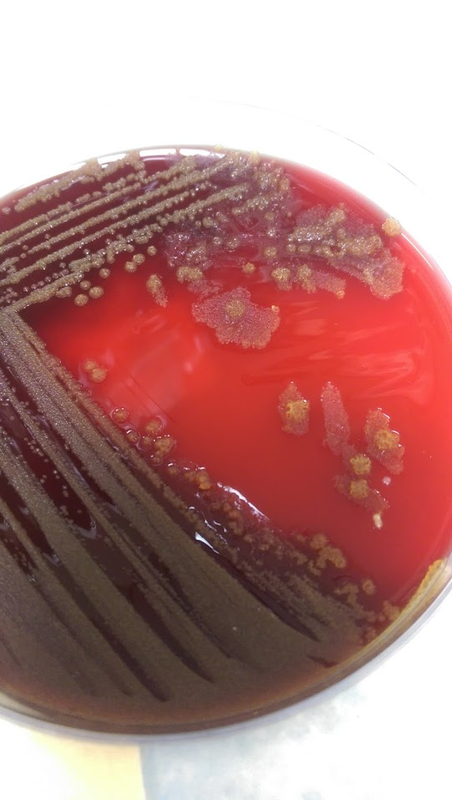 The pathogenic form of P. luteola is a saprophyte and it can cause septicemia, peritonitis, endocarditis in patients with health disorders or with indwelling devices, and meningitis. Most strains are susceptible to broad-spectrum antibiotics, such as cephalosporins and ciprofloxacin. Based on the history, the clinical team was unsure if it was a false positive/contaminant or truly a pathogen. The patient did have grafts and bioprosthetic material and due to the virulence of Pseudomonas, they decided to treat with cefepime and remove the central line. The patient clinically improved after removal of the line, which favored a line infection. -Mustafa Mohammed, MD is a 2nd year anatomic and clinical pathology resident at the University of Vermont Medical Center. This was a poorly written case study. Too many abbreviations were used for the average reader. An abbreviation can mean several different things. For example, the author states the patient was on CPAP and GERD. Beside continuous positive airway pressure was he also on gastroesophageal reflux disese? Thank you for your response! We like to know areas where we can improve; thank you for pointing one out to us.